"How much income do I need?" "What's the minimum credit score?" " How much of a down payment is required?" These are just some of the questions that aspiring first-time homebuyers have as they approach the process of qualifying for a mortgage loan. The truth is, there are few hard-and-fast answers. Having more income, a higher credit score and a bigger down payment will make it easier to obtain a mortgage, but there really isn't a cutoff point where you either can or cannot get a home loan. It's more about how much you can borrow and how much it will cost you. Less income, more debt, poorer credit and a smaller down payment will limit how much you can borrow and increase your cost of borrowing, but in most cases won't automatically disqualify you from getting a mortgage right off the bat. "What credit score do I need?" Many people assume that a good credit score is the key to qualifying for a mortgage. And while it plays an important role, it isn't necessarily the deciding factor or even the most important one. FICO credit scores , the type most mortgage lenders rely on, range from 300-850. Anything above 740 is considered ideal; a score like that makes you eligible for the lowest mortgage rates and best loan terms. Anything below 600 and you'll find it hard to get approved. While there are lenders who'll work with borrowers with credit scores in the 500s, they charge unusually high interest rates and require hefty down payments on such loans, and typically demand proof of substantial financial assets and/or cash flow as well. Conventional mortgages - the type backed by Fannie Mae or Freddie Mac, and which account for most U.S. home loans - charge higher interest rates as your score drops below 740. These increases start out small at first, then quickly get bigger, so by the time your score drops into the mid-600s, you could be charged a rate a full 2 percent higher than a borrower with "perfect" credit. The FHA doesn't tie its rates to credit scores this way, which makes them an attractive option for borrowers with less-than ideal credit. However, they do charge higher fees than on Fannie Mae and Freddie Mac mortgages, which makes them less popular with high-credit score borrowers. The good news is that most people have pretty decent credit. According to the Fair Isaac Co., which developed the FICO scoring system, nearly six out of 10 borrowers have a credit score of 700 or above. Only 15 percent have a score below 600. So chances are you're in ok shape. "What are the down payment requirements?" People tend to view down payments as a bigger obstacle to getting a mortgage than they actually are. FHA home loans require as little as 3.5 percent down, even with so-so credit, and borrowers with good credit can obtain convention mortgages backed by Fannie Mae or Freddie Mac with as little as 3 or 5 percent down. While there can be good reasons for making a larger down payment - it can help you get a lower mortgage rate, it means smaller monthly payments and if you put at least 20 percent down you can avoid paying for mortgage insurance - there are good reasons for making a smaller down payment as well. A smaller down payment allows you to avoid tapping out your savings and keep more in reserve for emergencies or needed home repairs. A smaller down payment can also enable someone with modest savings to buy a home now and begin building equity rather than spending their money on rent. And buying now rather than waiting several years to save up a larger down payment lets you take advantage of today's low mortgage rates while they're still around. Borrowers with poor or weak credit may be asked to make a larger down payment. Even so, many lenders will approve FHA loans with 3.5 percent down for borrowers with 620 credit scores, and some will go as low as 600. Borrowers with scores in the 500 range can still obtain mortgages, but may have to put down 20-30 percent in order to qualify. Larger down payments may also be required from people with high debt-to-income ratios, those who have difficulty documenting a steady income, or who are buying a high-end home (jumbo mortgage). "How much income do I need?" When considering you for a mortgage, lenders look at both your income and your debts as a single item. That's because they're less concerned with how much you make as they are with how much you have left over once you pay all your bills. This is called your debt-to-income ratio - the percentage of your gross monthly income that goes toward paying off debts, including your mortgage payments. Debt payments include any kind of loan on which you make monthly payments - auto, student, credit cards, personal, etc. They also include ongoing obligations like alimony or child support, or installment payments to resolve a large debt, like medical bills. They don't include billings for ongoing expenses like utilities, Internet, cable TV, health insurance and the like. Ideally, lenders want to see no more than 36 percent of your monthly income going toward debt payments, with no more than 28 percent going toward your mortgage payment (including property taxes and homeowner's insurance). In practice, though, they routinely accept total debt-to-income ratios as high as 43 percent for borrowers with good credit, and will go even higher for borrowers with excellent credit and substantial financial assets in reserve. "What counts as income for a mortgage?" In addition to wages or salaries, income can include alimony and child support payments, profits from a business, stock dividends, capital gains - pretty much any money that is paid to you. Lenders will want to see a pattern of stable earnings over at least two years, so they'll want to see at least two years' of tax returns, W-2 forms, profit-and-loss statements or other financial records. Be aware that if you itemize deductions, any expenses that you deduct for personal or business reasons will reduce your gross income. This can be a problem for people who take a lot of deductions, such as the self-employed or business owners who file as sole proprietors. "Does employment history affect my mortgage application?" Lenders also want to see a steady employment history, with at least two years in the same job or at least in the same field, with no interruptions during that time. If you're self-employed or own a business, they'll want to see at least two years of profitable operations. If you have a variable income, such as from a business, commission sales, overtime worked or the like, the lender will most likely average your earnings over the past two years. However, if your earnings changed significantly from one year to another, they may only consider your earnings from the lower of the two years. Part-time income or a second job can be counted as income for purposes of qualifying for a mortgage loan. However, you'll need to have held the job for at least two years and had steady earnings from it during that time. "What happens when couples apply for a mortgage?" Two people can apply for a mortgage and buy a home as a couple, even if they're not married or file joint tax returns. All that matters is that both put their names on the mortgage application and submit financial and personal information. Having two people on the mortgage application means you can count both of their incomes toward the purchase; however, it also means you have to take into account all of their individual debts as well. As far as credit scores go, when two people apply for a mortgage together lenders will base their decision and the terms of the loan on the person with the lowest credit score. So if your spouse has poor credit and yours is excellent, you could find it harder to get approved or end up paying a higher mortgage rate if you apply jointly. Also, when two people apply for a mortgage jointly, both are equally responsible for ensuring that the mortgage payments are made in full every month. "Does my choice of home affect my mortgage application?" When you apply for a mortgage, you aren't the only one who needs to be approved - the home you're buying needs to qualify as well. The home you're buying will need to be appraised, to ensure that it's worth what you're paying for it. 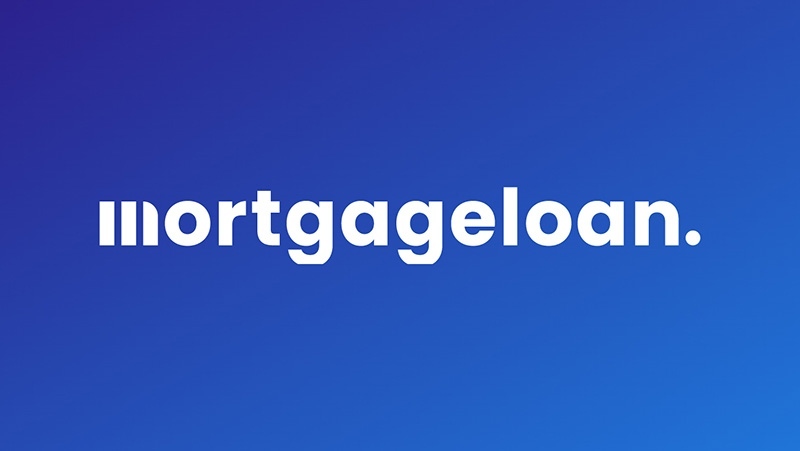 That's important to the lender because if you should default on the mortgage, they want to be sure they can get their money out of it if they need to repossess it. Home purchase agreements generally include a provision for a home inspection as well. If the inspection finds a major problem with the home, such as a cracked foundation, they may require that the problem be addressed in a satisfactory manner before they'll approve the loan. FHA loans require an inspection to ensure the home meets FHA standards. A loan may be denied if problems are found with concrete surfaces, electrical wiring or exposed lead paint, unless those problems are corrected. The type of home you're buying can also have an effect on your mortgage approval. Condominiums, for example, have their own sets of guidelines that must be met before a mortgage will be approved. The condomium association must be on sound financial footing in order to take care of the grounds and common property, and there are limits on how many units may be rentals or owned by a single entity. The process of qualifying for a mortgage can be challenging, but if you've got a good handle on the basics, you'll be well on your way.